First time readers might look at the title of this piece and mistakenly assume I am a critic of Joseph Smith. But long-time readers know I hold Brother Joseph in the highest regard. I believe he was divinely appointed by God to be the prophet of the Restoration, that he translated the Book of Mormon by the gift and power of God, that he received direct revelations from the mouth of God which he then conveyed to the world, and that on several occasions he enjoyed a personal audience with Jesus Christ. That's not to say the man was perfect. Jesus Himself called Joseph Smith on the carpet more than once for demonstrating poor judgment. So let's start by acknowledging that the man was human like the rest of us. While I recognize Joseph Smith as a true prophet, seer, and revelator, I do think he made one gigantic error, an error that continues to have negative repercussions today within the LDS Church, warping our collective assumptions about what a prophet of the Lord should be. So what, you may ask, was that mistake? It happened in 1832 at a conference of the fledgling church in Amherst, Ohio, at a time when the total membership of the church was little more than two or three hundred strong. Two years previously, Joseph Smith had been called of God and ordained an apostle of Jesus Christ. His official designation at that time was "first elder" of the church, which was not a priesthood office but merely a title predicted by John the Baptist, and accepted by the 27 other members present. (Joseph Smith History 1:72) His actual priesthood calling, which he obtained from the Lord, was as an apostle, and along with that calling God had designated him a prophet, a vessel through whom God's words were to be disseminated to the world. So three weeks later, when Joseph and Emma arrived at the conference in Amherst, one of the orders of business was to choose those men who would govern the temporal affairs of the church. Joseph Smith was himself nominated, then elected by the people to be the new "President of the High Priesthood." And so it was that two years after the church had been organized, the newly created office of president -an administrative office that could have been held by Joseph's brother Hyrum, or Oliver Cowdery, or Sidney Rigdon, or David Whitmer, or pretty much anybody else- was intertwined with the divine calling of a prophet, seer, and revelator. 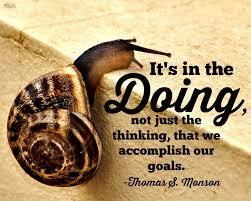 And few there be in the church today who are able to untangle that titular mess. A few years after being elected president, Joseph attempted to have his brother Hyrum take over all of his duties, because for one thing the office of Patriarch was a greater church office than the office of President, and if the church were to be governed by someone, it should be governed by the patriarch. For another, Joseph Smith had grown past the church, which he understood to be but a stepping-stone to his greater calling: to help bring about the Kingdom of God on earth. The kingdom, which, as we have seen, is perceptually distinct from the Church, was where Joseph's overriding interest now lay. So he tried to turn responsibility for the church over to Hyrum. But the vision of the members was narrower than Joseph's and they would have none of it. 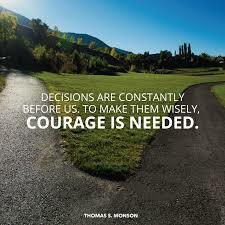 Members of the church tended not to heed Hyrum Smith, despite Joseph's counsel that they should. They wanted the prophet to also preside over them. They wanted him to run their church. 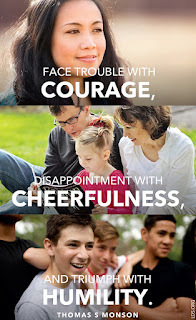 The reason I feel it was a mistake for Joseph to go along with the people's wishes and take on the church's administrative duties, is because to this day most members of The Church of Jesus Christ of Latter-day Saints don't seem to understand that those roles are vastly different. Over time we have conflated the office of the President with the divine calling of a prophet, even though one has virtually nothing to do with the other. Take a look at the collection of pictures at the top left corner of this essay. Each of those men has held the office of president of the church. But only one -the first one- has ever made the claim that he was a prophet of God. 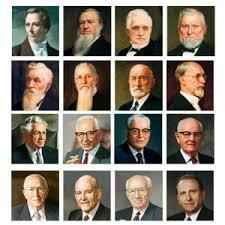 Indeed, out of all the men pictured, Joseph Smith was the only one who has ever been endorsed by God as His prophet. (See this previous post for a partial list of the Lord's scriptural endorsements.) God instructed the saints to "heed [Joseph's] words" as he receives them from God's own mouth. 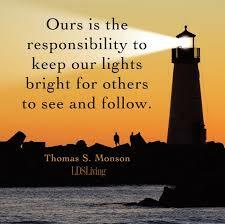 (D&C 21:4-5) The Lord has never given similar instructions to the church regarding any subsequent president. Not once. What's more, Brigham Young specifically denied being a prophet, and he denied he was Joseph Smith's legal successor. Decades later president Heber J. Grant said he knew of no instance where the Lord has appeared to an individual since His appearance to the Prophet Joseph Smith. Likewise, you won't find one instance where any president of the Church, from Brigham Young through Thomas Monson, has claimed to have the gifts of a prophet, seer, or revelator. He does, however, tend to sit back and allow his underlings to heap adoration on him, describing him with adoring terms such as "our beloved prophet." But I have never heard a sitting president refer to himself as a prophet, seer, or revelator, or affirm he has any of those gifts and abilities. 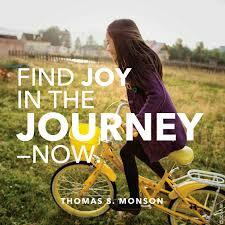 In fact, Joseph F. Smith and Thomas S. Monson both went out of their way to dodge the question when asked point-blank. Don't you think that's odd? Out of that entire bunch -16 presidents over a period of 187 years- Joseph Smith was the only one who boldly made the claim to being the mouthpiece of the Lord. We seem to be deeply conditioned to believe that any man who ascends to the presidency of the Church has somehow been appointed to that office by God. And we also assume, despite a complete lack of evidence, that the same time the Lord chooses a man to be president, he has also bestowed upon that man the gifts and abilities of a Prophet, Seer, and Revelator. But here's something worth remembering: although God did anoint Joseph Smith to be a prophet, a seer, and a revelator, he did not anoint him to preside over the church. That was a separate administrative office requiring a differing set of skills, and God left it up to the members to choose who they wanted to preside over the church. Why? Because God never imposes his will on anyone, and a president is required at times to decide temporal matters affecting the congregation. Therefore the congregation was instructed by God to vote for whomever they wanted in that office. A prophet is a divinely appointed calling, while a president is an administrative one. Anybody could have been elected president of the church, but not anybody can be a prophet. Joseph Smith's role as president required him to wear two different hats, depending on the occasion; sometimes he acted in his capacity as a prophet, and other times he acted in the administrative role as president of a religious society. This modern conflation of prophet into president has caused us to lose sight of the prophet's true purpose. 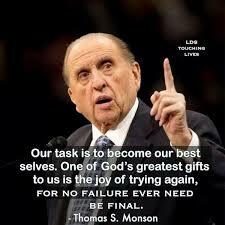 According to Elder B.H. Roberts, being a teacher is the prophet's "highest and noblest calling." "First of all, a word of definition: This term "prophet" -what do you make of it? Generally, when you speak of a "prophet," you have in mind a predictor of future events, one who foretells things that are to come to pass, and indeed that is, in part, the office of a prophet -in part what is expected of him. Twice a year for most of my life I've plopped myself down in front of the TV during conference sessions expecting to be taught a message from the Lord coming through the president of the church. 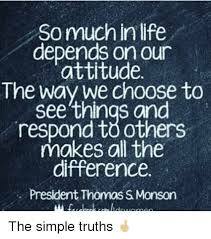 At least since Gordon Hinckley was president, I've paid close attention, listening for a message direct from the Lord -the type of clear, unmistakable oracles that members of the Lord's church received through Joseph Smith on a regular basis. I don't know about you, but I don't recall being taught much that was noteworthy from either Gordon Hinckley or from Thomas Monson. I've watched over the years as they both conduct meetings, make announcements, report policy changes, introduce speakers, tell stories, compliment the choir, admonish us to pay tithing, and warn us to obey them. But I've never heard either of them impart any new or worthwhile information as Joseph Smith constantly did. I've never heard either of these men actually teach. I've listened to the current president repeat the same insipid stories he's been telling for over thirty years now, and I'll be frank with you: I'm not getting the feeling I'm being properly taught. 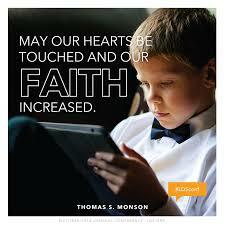 In fact, on at least one occasion which I documented on this blog, Monson actually disparaged a salient teaching of Jesus Christ when he stepped up to the pulpit and quoted at length from an article in the Wall Street Journal. The putative prophet of the Lord stepped up to the pulpit in general conference, ostensibly to deliver a message from God to the entire world, and for his text he presented -not a revelation he had recently received from the Lord, not even an excerpt from scripture- but an article he said he had recently read in the Wall Street Journal. I was so astonished by this choice of material that I wrote a blog post about it. Now don't get me wrong. I like the Wall Street Journal, especially the middle column and the editorial page. Many years ago, in a life much different from the life I live today, I read that paper every morning over donuts. So I'm not knocking the Wall Street Journal. But put this in perspective. Imagine you are one of the 1.2 billion members of the Roman Catholic church, and you have tuned in to watch the pope standing on the balcony of the Vatican looking down at the millions of his admirers who are standing there waiting for His Holiness to deliver a message from God, and he opens with, "So I was reading an article the other day in the Wall Street Journal." Wouldn't that seem a bit out of place for a major religious leader? You might understandably wonder what The Pontiff was doing poring over a copy of the Wall Street Journal in the first place. Is this what the Holy Father does with his time? We Mormons look at our prophet the same way the Catholics see their pope, only we believe our guy is the true messenger of God. So then why doesn't he ever deliver a message from God? Why in heaven's name is he wasting our time quoting lengthy passages from the newspaper? Most active members of the church have an image in their heads of the prophet diligently spending time going through the scriptures, or having a personal audience with the Lord. Yet I don't know of any active members who thought it the least bit strange to hear their prophet, seer, and revelator center his keynote sermon around the editorial page of America's financial daily. And what was that message? If you'll watch Monson's face at the 2:17 mark, you'll see him share the mocking disdain the editorial writer has for the very idea that the most important thing any of us can do on this earth is to love one another. It only happens to be the first commandment of Jesus Christ. Now, I don't want you to think I take issue with any of those aphorisms. 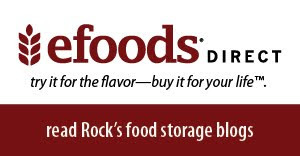 In my opinion they all contain general truth. 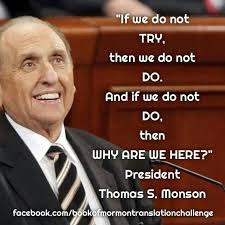 I'm just curious why it is that so many members are plastering these sayings all over the internet as if they prove Thomas Monson is a prophet of God. 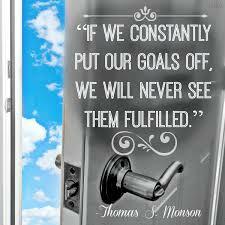 Nevermind that you can find the same sentiments contained in any decent collection of self-help books; what I want to know is this: if Thomas Monson is not just the president of the church, but a prophet as well, when is he going to start teaching us things Tony Robbins hasn't already come up with? On my bookshelves I have an incomplete set of The Joseph Smith Papers. I also have a separate and unrelated two volume set titled The Papers of Joseph Smith, as well as books with such titles as Teachings of the Prophet Joseph Smith; The Words of Joseph Smith; The Encyclopedia of Joseph Smith's Teachings; The Journals of Joseph Smith; The Essential Joseph Smith; Discourses of the Prophet Joseph Smith; and Joseph Speaks. In addition to those, most members have in their homes the impressive body of scripture produced through Joseph Smith, which includes the Book of Mormon, the revelations contained in the Doctrine & Covenants, the Lectures on Faith, and Joseph Smith's Inspired Translation of the Bible. All of these volumes are chock full of teachings that enlighten. By that I mean most of Joseph's speeches and writings contain bona fide profundities; information that had been lost to time or otherwise unavailable to the world before he came on the scene. President Joseph Smith was a true prophet, and because he was a prophet he fulfilled the most noble role of a prophet: he was an actual teacher. He taught things that were not widely known before he presented them to the world. Conversely, you can go down to your local Deseret Book Store and find books that have been written by almost every president of the Church in modern times. You will find they contain nothing like the kind of information you'll find in a single one of the volumes containing Joseph Smith's teachings. Have you ever tried to read through one of their books front to back? I can't do it. Where the teachings Joseph Smith left behind are chock full of sagacity, these books of the modern presidents are overflowing with inanities. 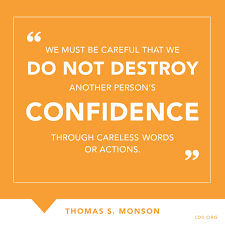 They're mostly rehashed conference talks and assortments of words of dubious wisdom ghostwritten by hacks in the Church PR department -much like the "words of wisdom" provided to Thomas Monson by staff writers and recycled in those memes above. According to the editors of the Joseph Smith Papers project, today we are left with only a fraction of Joseph Smith's teachings. He gave some 250 sermons in his lifetime, but only about 50 of them were written down by scribes. So who knows what else we're missing? Let's come to the proper conclusion here: a president is a vastly different animal than a prophet. In many ways their purposes are at odds with each other. A president's role is to command and control. A prophet is a teacher of righteousness, who successfully fills his role only if he operates through persuasion. Joseph Smith was somehow able to balance the two roles, but only because he understood he could not operate as a prophet and preside over the church at the same time. At those times when he had donned the hat of the president, he was not functioning as the prophet, and vice-versa. We don't seem to understand the difference in the church today, where everyone seems to use the terms "Prophet" and "President" interchangeably. Joseph Smith could have done us all a favor back in 1832 and declined the people's invitation to become their president. But he didn't, so what's done is done. It's our responsibility now to wake up and be able to tell the difference so we don't continue to mistake a man with high rank and administrative titles with someone who has actually been given gifts and abilities from on high. If we fail to discern the difference, we run the risk of following a false prophet.